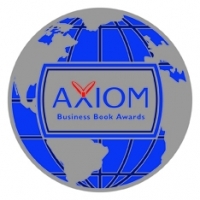 The Future Workplace Experience Wins Axiom Business Book Awards Silver! The Future Workplace Experience is the Silver Award recipient in the category of HR and Corporate Training! The Axiom Business Book Awards honor the best business books published during each year and bring recognition to exemplary business books and their creators. Disruptive Technologies. The Gig Economy. Breadwinner Moms. Data Driven Recruiting. Personalized Learning. In a business landscape rocked by constant change and turmoil, companies like Airbnb, Cisco, GE Digital, Google, IBM and Microsoft are re-inventing the future of work. What is it that makes these companies so different? They’re strategic, they’re agile, and they’re customer-focused. But, most importantly, they’re game changers. And their workplace practices reflect this. The Future Workplace Experience presents an actionable framework for meeting today’s toughest business disruptions head on. It guides you step-by-step through the process of recruiting top employees and building an engaged culture—one that will drive your company to long-term success. Two of today’s leading voices on the future of work, provide ten rules for rethinking, reimagining, and reinventing your organization. Everything we took for granted in the past—from what we expect from our jobs to whom we work with and how—is changing before our eyes. The strongest organizations today are “learning machines.” New challenges require new solutions—and these organizations are finding them. If you want to compete in years to come, you have to meet the future now. The Future Workplace Experience is your playbook for taking your organization to the top of your industry.